Not too long ago, we did up a sample of a simple vest with all-in-one facings. 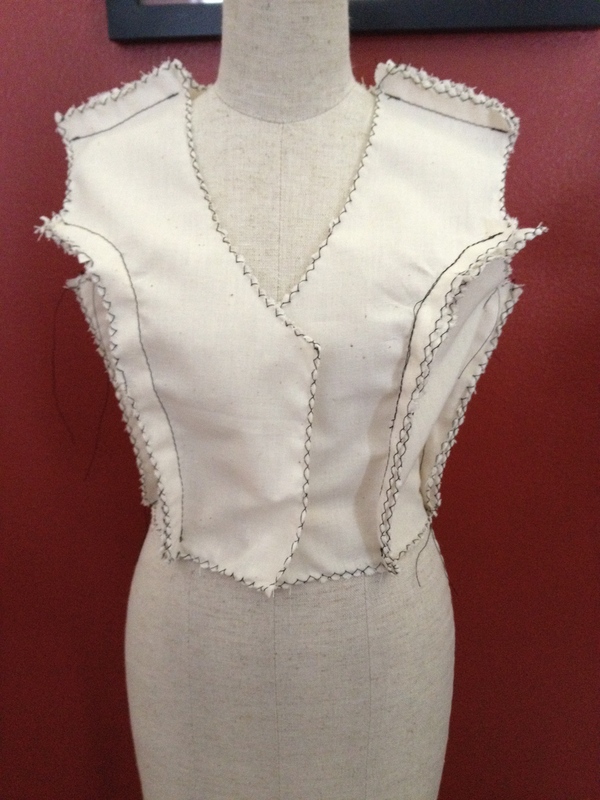 Here’s how to actually sew up a vest with all-in-one facings. You will need your pattern and muslin. 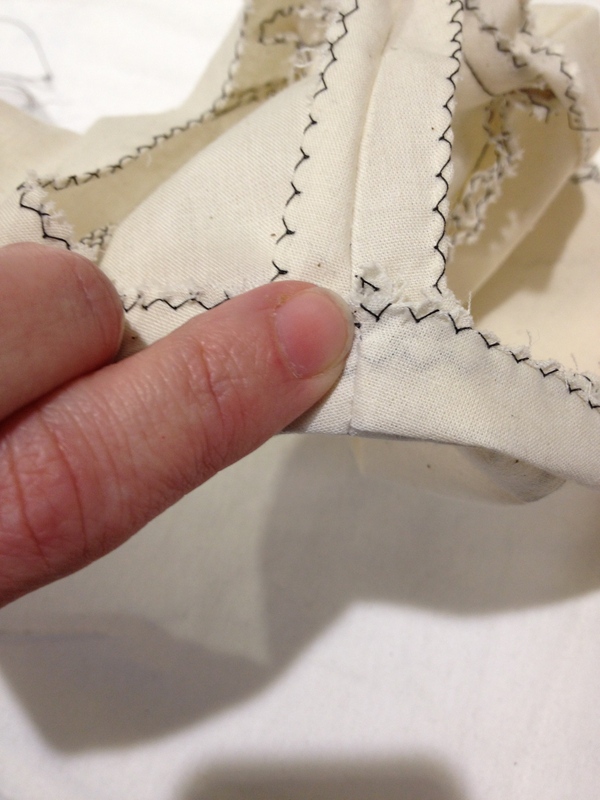 Pin your pattern pieces to the muslin with the grain lines placed along the grain of the fabric. 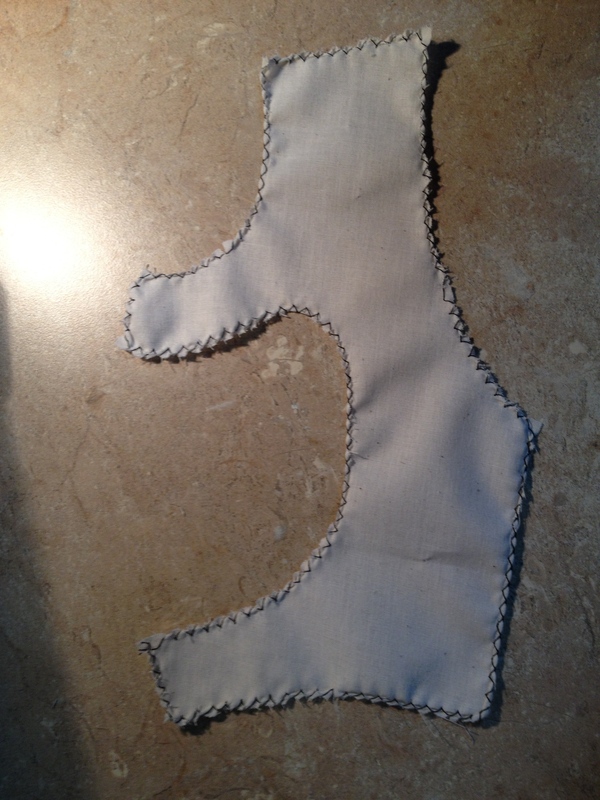 Cut the muslin around the pattern piece. 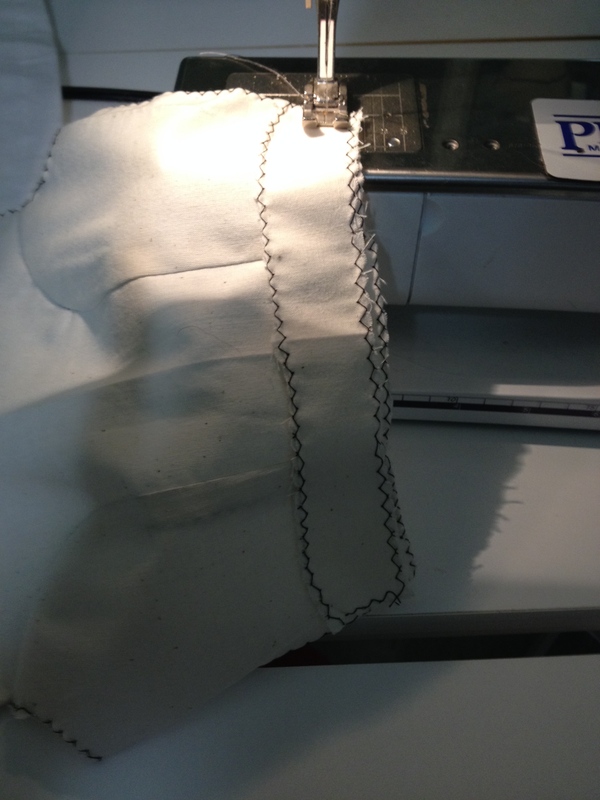 I find it’s faster and easier to cut the piece free of the yardage of muslin along a long edge, cut all the straight bits, then handle any little curves. Make sure you clip your notches. 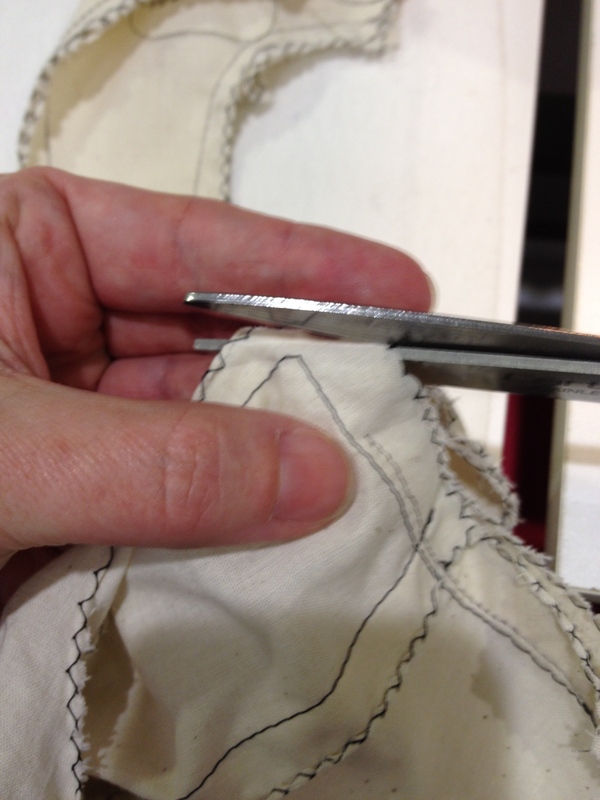 The clip should go about 1/2 way into the seam allowance. 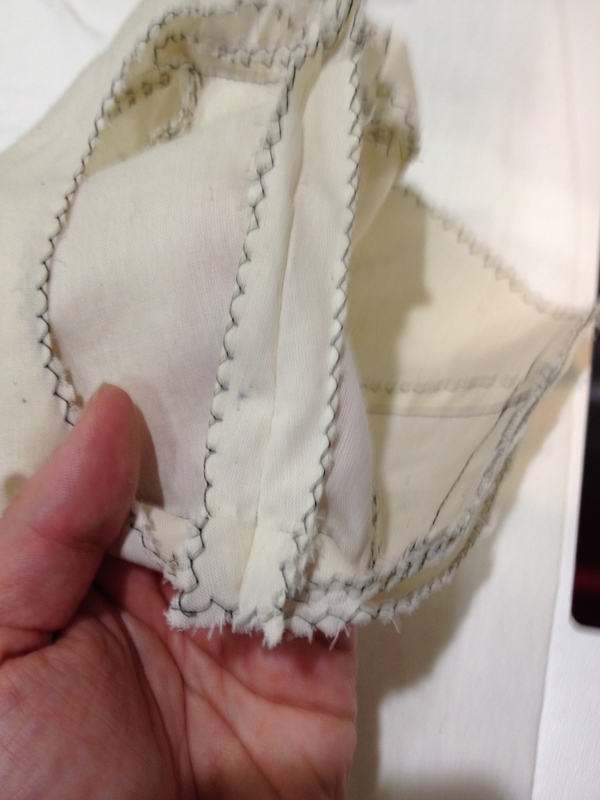 Keep your muslin pieces together with your pattern pieces until you are ready to sew. Start with the center front (left) and the side front (right). Line the pieces up so that the princess lines match up. You may want to pin them. 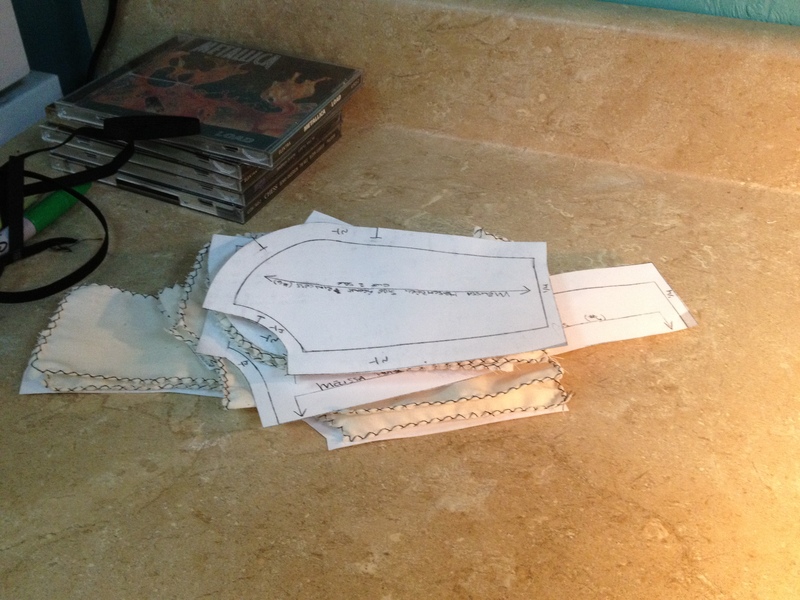 I like to lay the pieces out so that I can make sure I am sewing one left front and one right front, rather than two rights or two lefts. 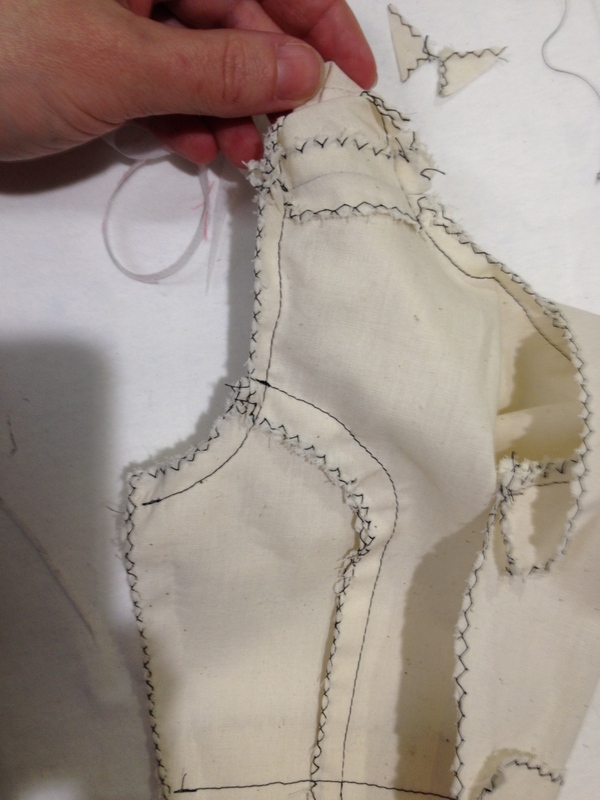 Because the princess seams are permanent, you will need to backtack the start and end of the seam. Sew forward 3 stitches, then backward 3 stitches, sew to the end, then backwards three stitches and forwards 3 stitches. You do not need more than 3 stitches in your backtack. Your goal is a nice, smooth join between the two pieces – no puckers, no points. 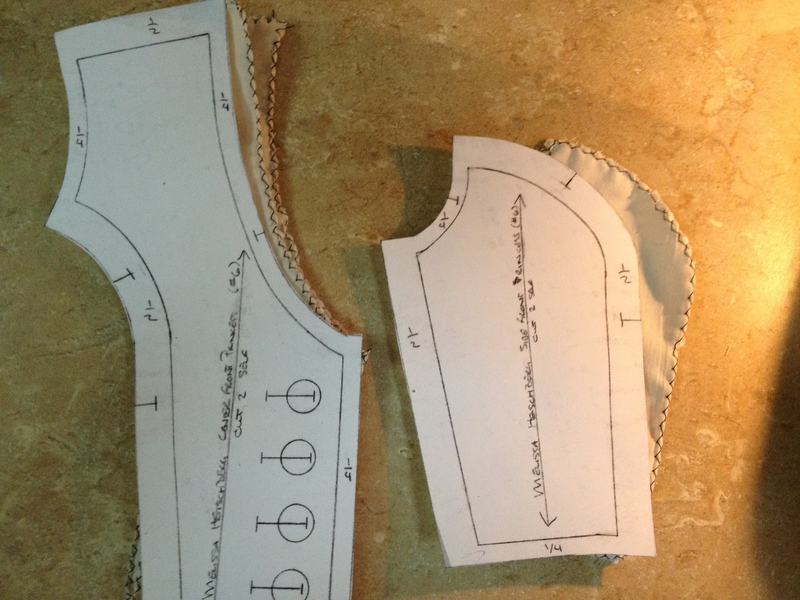 Finished fronts – left and right. Yay! Line up the center back (below) and one side back (top) at the princess line. Sew. Do the same with the other side back. 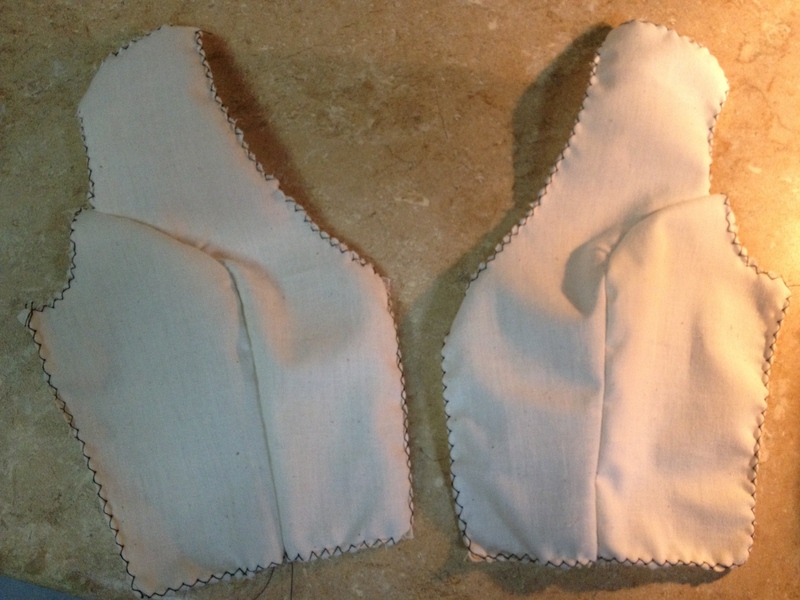 Sew the shoulders. IF you are going to do a fit check next, baste the side seams in. 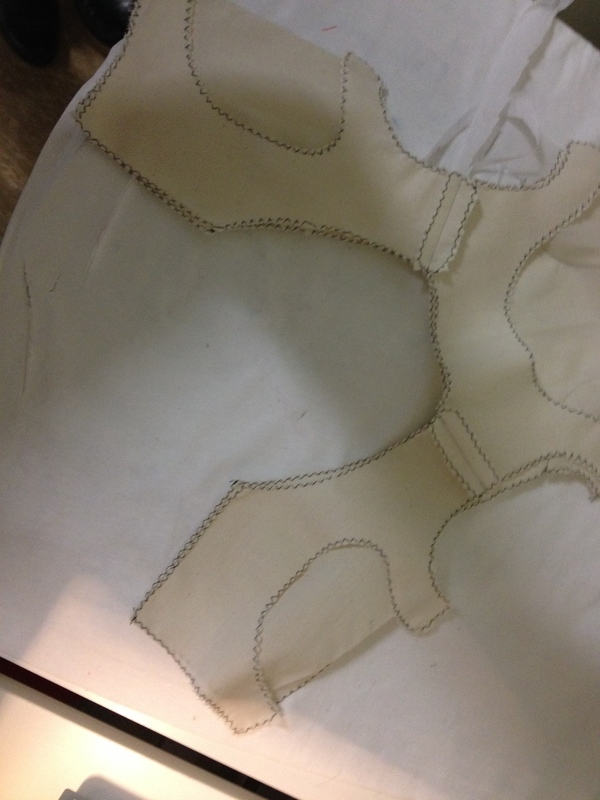 Do not backtack – these basted stitches will be removed after the fit check. Fit check: it is basically the right size. Mine seems long on my half scale at home. Generally, something like this indicates an adjustment is needed in the pattern. After fit check, remove the basted side seams. 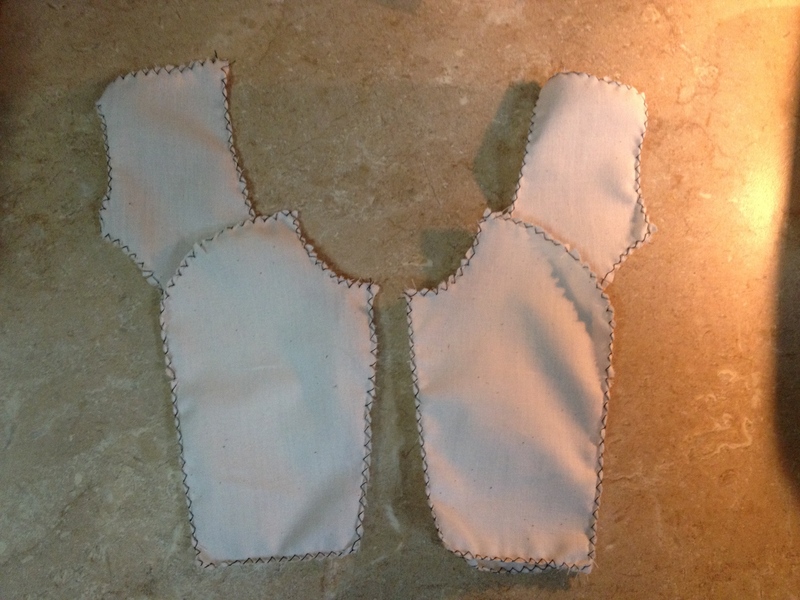 Sew the front facings to the upper back facing at the shoulders. 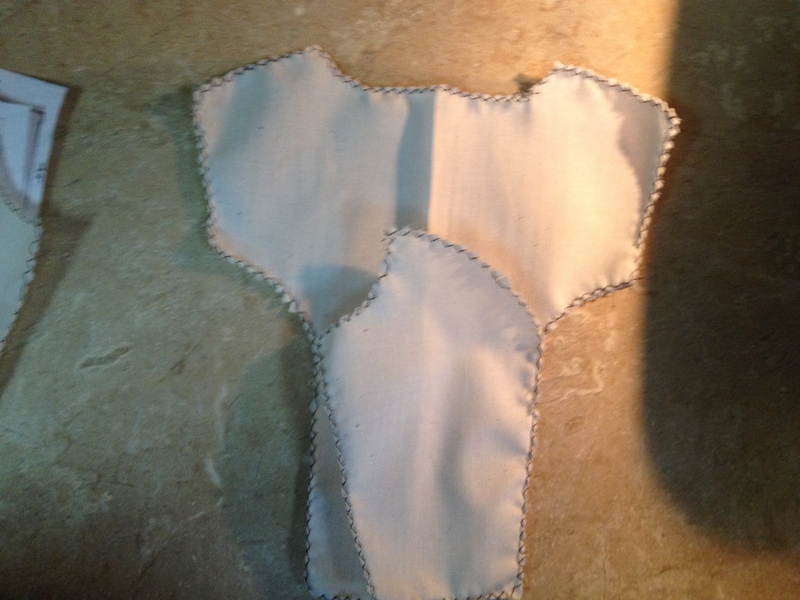 Sew the lower back facing to the bottom of the back of the vest. Remember, right sides together. You want all the seams to end up on the inside. 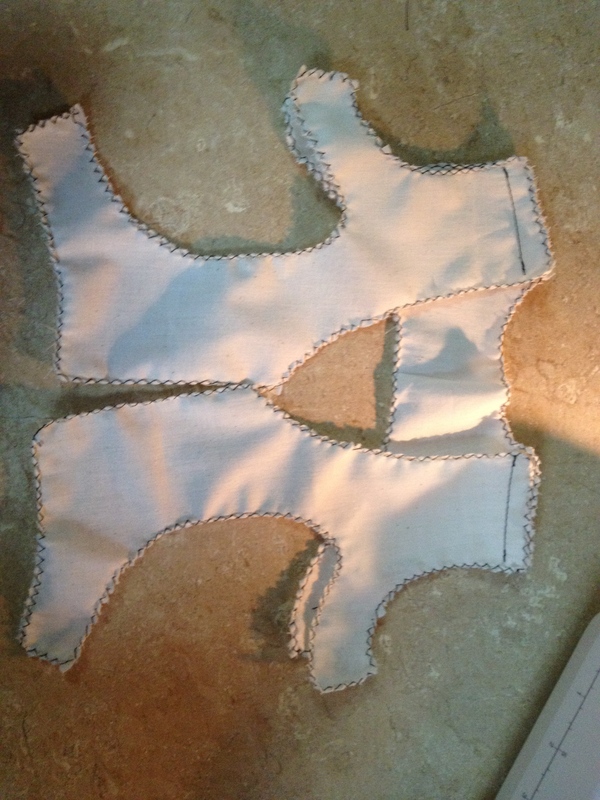 Line up the facing and the outer pieces of the vest. You may wish to pin them. 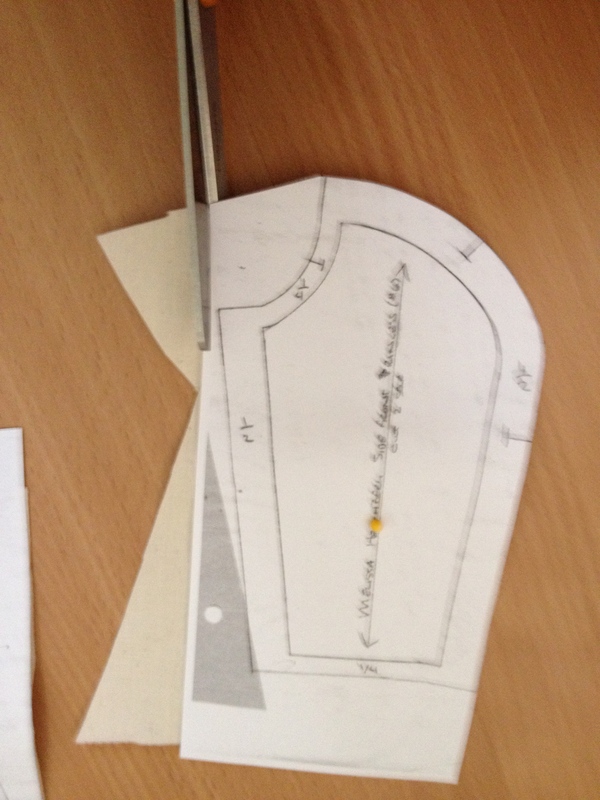 The pieces should be right sides together, so all the seam allowances are on the outside. Sew along one front bottom, up the center front, around the neckline, down the center front, and across the other front bottom (shown). 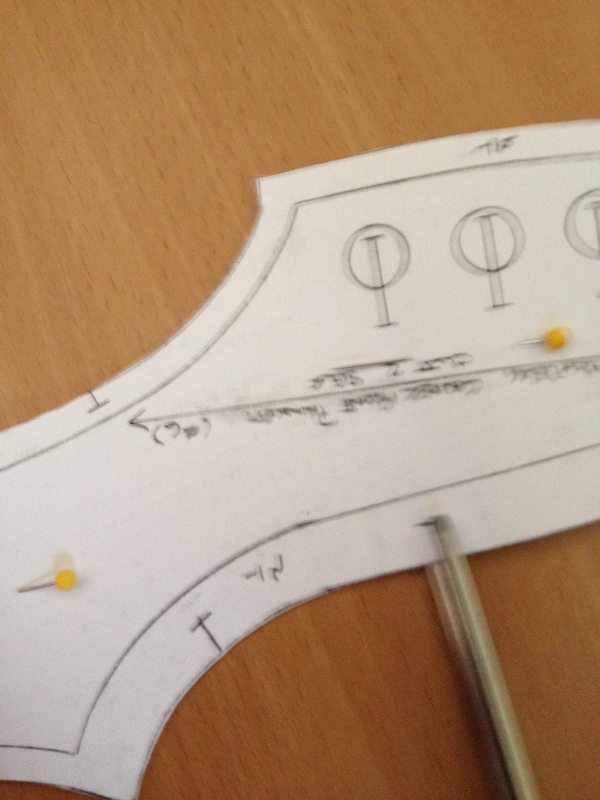 Now sew around each armhole. 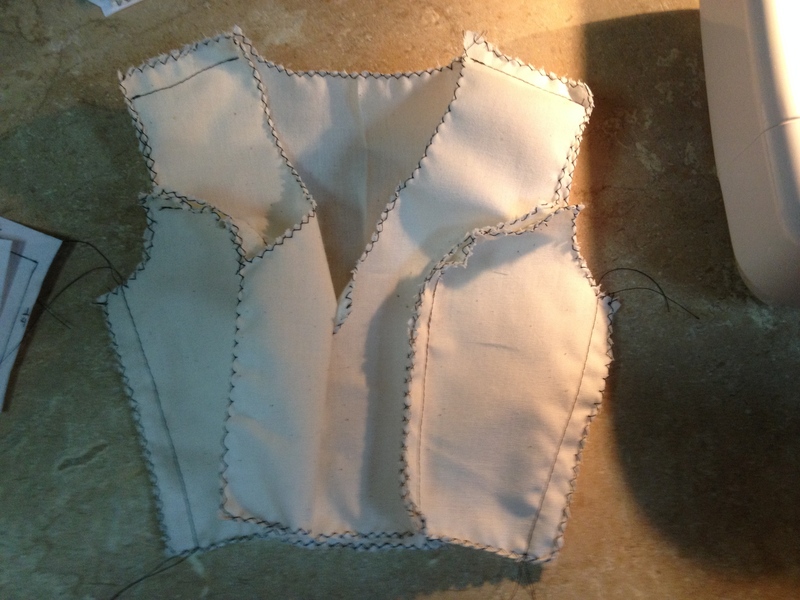 To turn the vest right-side out, pull/push the fronts through the shoulder to the back. 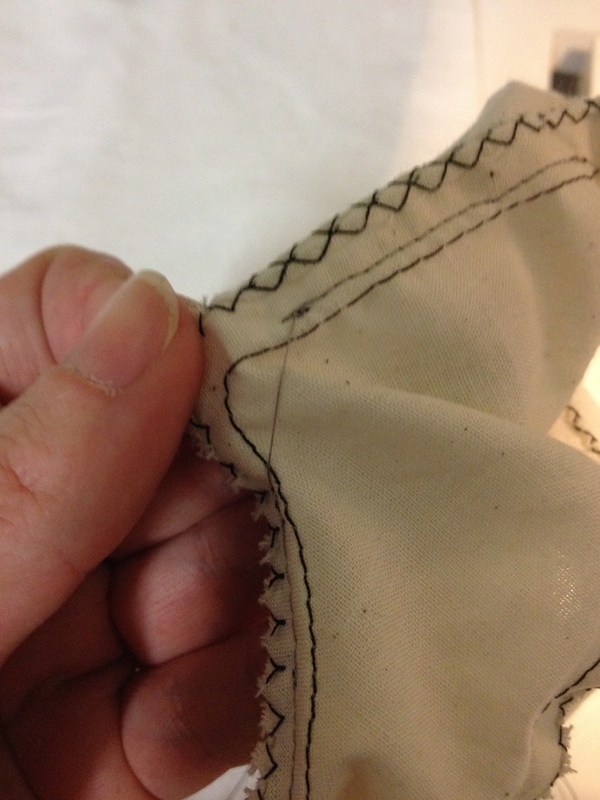 You won’t be able to under-stitch all the way in to the corners. Go as far as you can, backtack, and move on. You also won’t be able to get all the way around the armscyes or neckline. Go as far as you can. 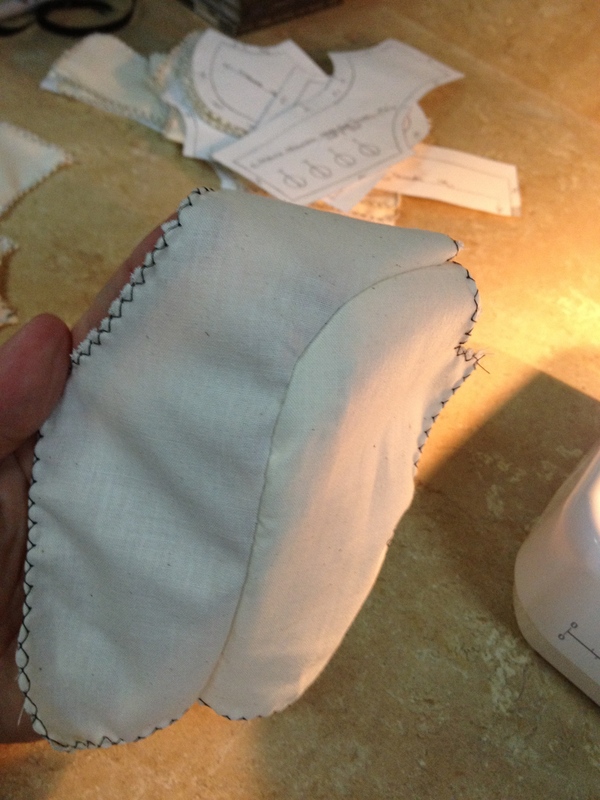 Clip oft most of your seam allowance across corners. This lets the corner turn with less bulk. 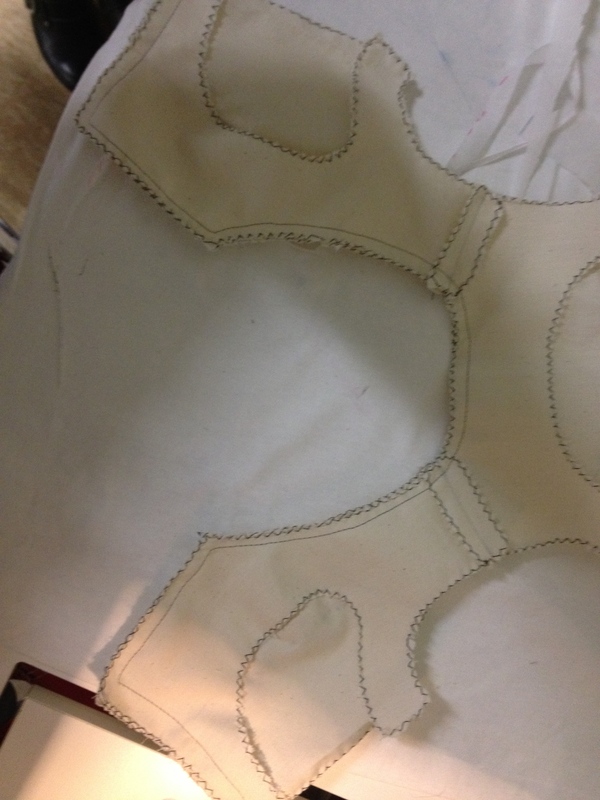 Sew in the side seams, starting at the edge of the armscye facing, down the side of the vest, and into the bottom facing. 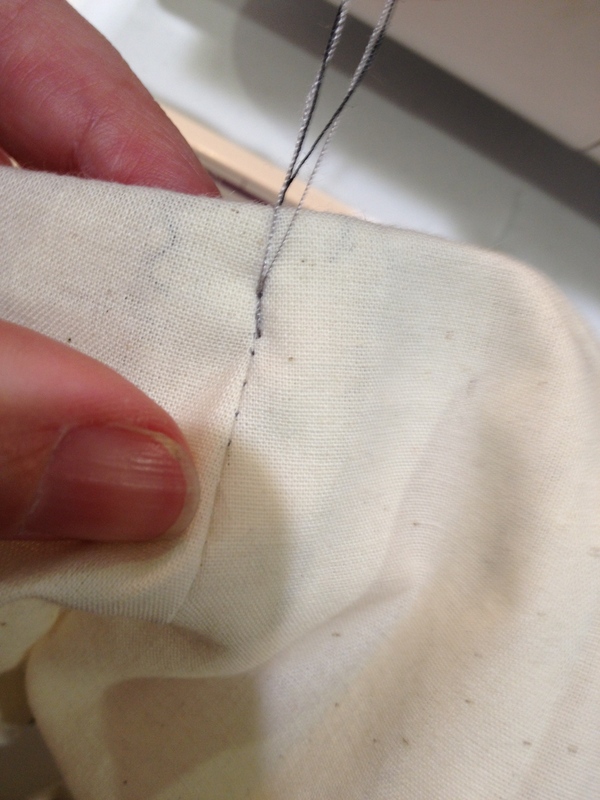 Just to emphasize, your finished side seam should look like this. 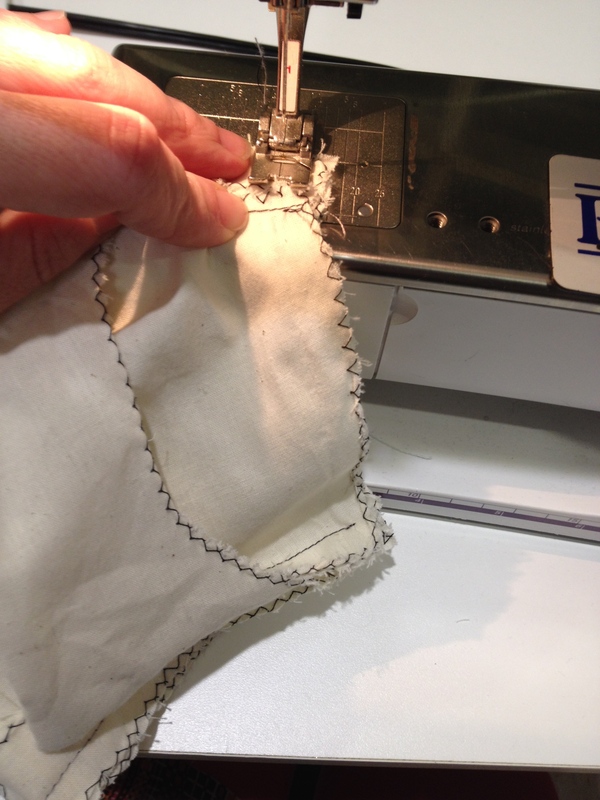 When you flip your facings up, there will be no seam allowances visible. Turn your facings in. 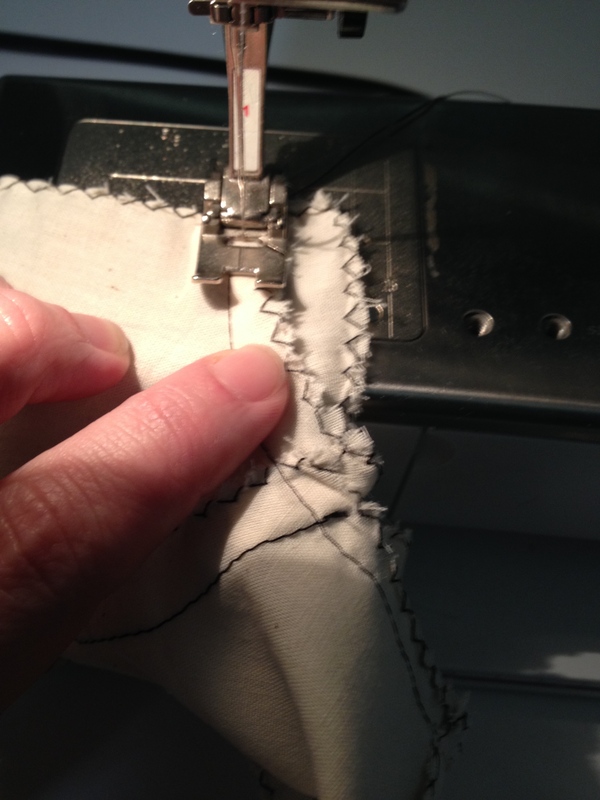 Anywhere you have a seam, you can do a little stitch-in-the-ditch (sewing stitches inside an existing seam) action to tack the facing in place. 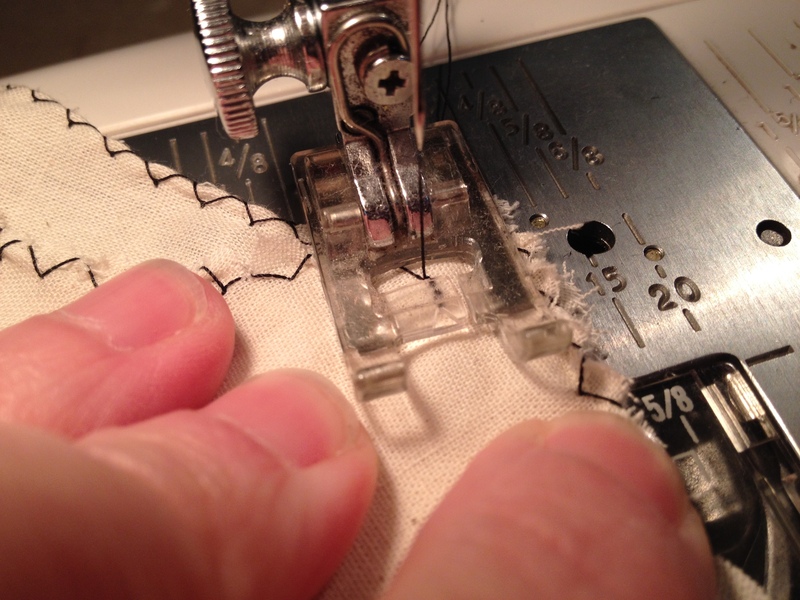 If you have a long area without seams, you will have to use very small hand stitches. I can go to sleep now!